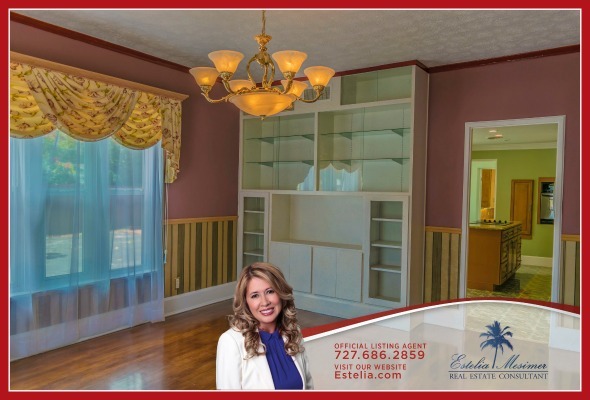 Live in a pristine home in a highly desirable location! Nestled in a sun-drenched location, this inviting and impressive two story home has everything you want! 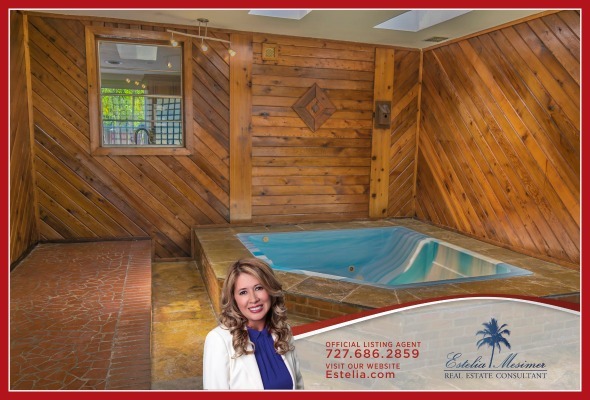 Featuring 3 bedrooms, 2 full baths and 2 half baths, enjoy 3,614 square feet of living space in this amenity-packed home. With custom built-in fixtures and gleaming hardwood floors and staircases, it exudes casual elegance. One look at its grand entryway and exquisite craftsmanship on display and you’ll know that this home is well-thought out and excellently executed. 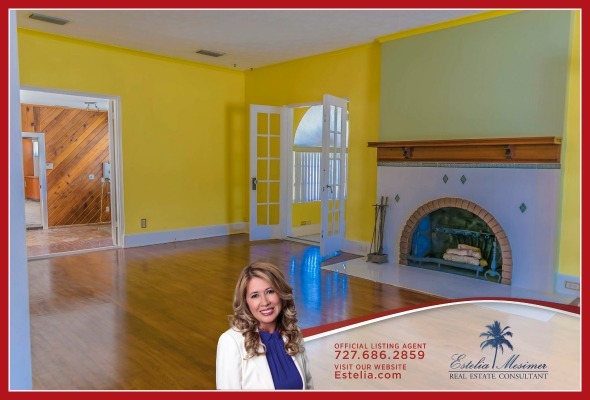 This home is part of the Allendale Terrace Subdivision, a highly desirable non-waterfront area of St Petersburg known for its old Florida historic charm. Streets with giant oak trees, luxury estate homes and location on high ground make this area a must-have home location. 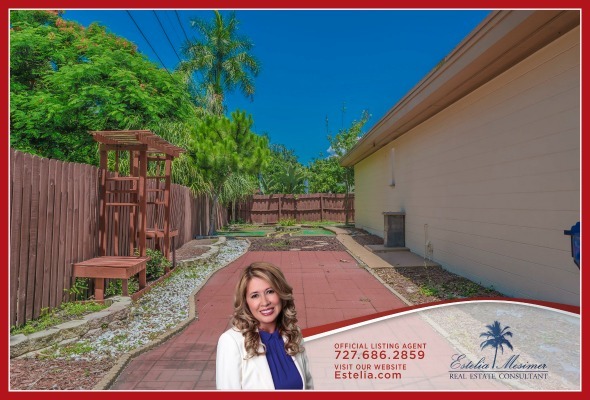 Located on 38th Ave N, this St Petersburg home places you close to all conveniences! Banks, coffee shops, drugstores, gas stations, grocery stores, sports facilities and restaurants are all within a mile radius of this home. Just think of how easy it would be to eat out or go shopping! You have the option of walking to your appointments or when you do errands because everything is within walking distance. There are bus stops all along 38th Ave N, which makes commuting convenient and easy. The local schools closest to this home are all within a 1.5 mile radius, and a five-minute drive away. This home, though located on a busy street, is set back from the road by a good-sized front lawn. This home’s front step is protected by a covered porch supported by two round columns. Open the grand door and step into a wide foyer with two arches on each side, leading to different living spaces in the home. Bright and airy, this foyer is a lovely welcoming place for your guests. Across the foyer is a charming wooden staircase that leads to the second level. To the right of the foyer is a bright and cheerful living room. Large windows grace the wall, letting natural light stream into the room. This room also has two french doors, one leading to another and the other to a spa room. Gleaming wood floors give this living room an elegant appeal, perfect for entertaining guests and visitors. The wood burning fireplace on one wall enhances this room’s inviting appeal. A wood mantle on top of the fireplace is good spot for your flat screen TV. Furnishing this room with a matching set of sofa chairs around the fireplace and adding some wall decor which complement the bright walls will make this living room a cheerful and lovely place to entertain friends and loved ones. The extra room features mahogany-tone ceiling, large windows, bright walls and ceramic floor tiles. You can do anything you want in this room. You can convert it to a sunroom, a home office or a studio. To the left of the foyer is the archway leading to the formal dining room. This is one amazing dining area. With custom woodwork, large windows and beautiful wainscot paneling, it is an elegant and fitting place for formal dinners. It is spacious and can easily accommodate a six-seater table. A door on one side opens to the kitchen, making it easier to transfer food whenever you have guests over. Your inner chef is sure to be thrilled in the gourmet kitchen of this Downtown Naperville home for sale. Granite countertops, stainless steel appliances, custom backsplash and plenty of cabinets await you in this kitchen. A granite top kitchen island with a stove makes cooking easier. This kitchen is ready for anything you want to prepare. Whether you are hosting a catered meal or preparing a simple and tasty meal for your loved ones, this kitchen is ready. Turn the expansive master suite into a haven. All bedrooms of this home are on the second floor. Large and bright, any room you choose will provide a good night sleep. The master suite boasts of polished wood floors, large windows, and a beautifully painted neutral tone wall. This room is ideal as your private retreat. It is stylish and comfortable, well-lit yet cozy. Even with a huge bed and some furniture, it still offers plenty of space. Two large walk-in closets provide ample storage space for your needs. This bedroom also has an ensuite bathroom for convenience and privacy. And if you want a full view of 38th Avenue, a door in the master bedroom leads to the balcony overlooking the front area of this home. You’ll look forward to coming home each day in this St Petersburg home for sale. One of its special feature is its interior spa room. Who wouldn’t be excited to take a dip in this spa room? Imagine yourself soaking in its warmth, surrounded by your favorite scent. Not only does it help ease stress away, it is also a wonderful way to entertain guests. This home’s family room is truly expansive! 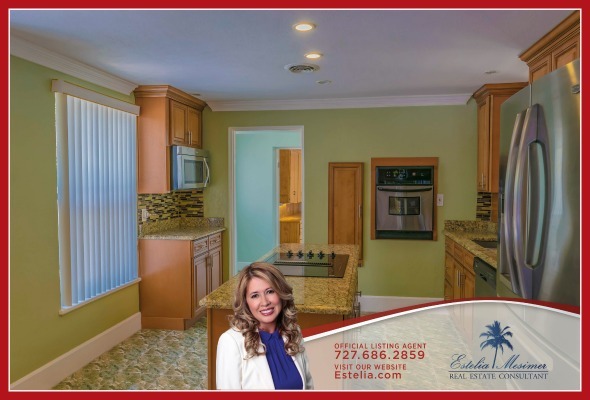 With ceramic tile flooring, custom woodwork, a wet bar, ice maker, refrigerator and track lighting, this room is the best room for entertaining because it is so spacious. You can fit four sectional sofas in this room and still have space to spare. Invite your friends over and have a grand time mixing drinks in this wet bar. 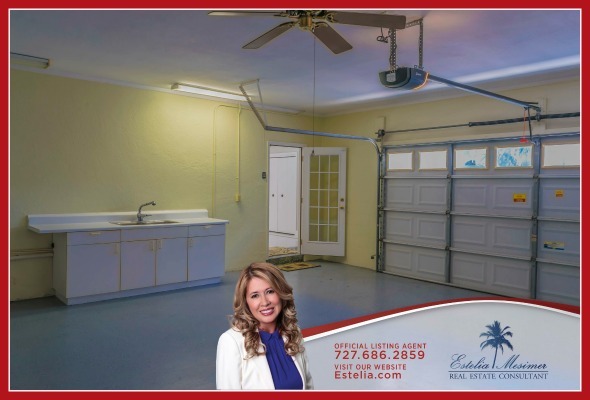 The attached garage of this home for sale in St Petersburg makes it convenient to get inside the home without being exposed to the sometimes harsh weather. 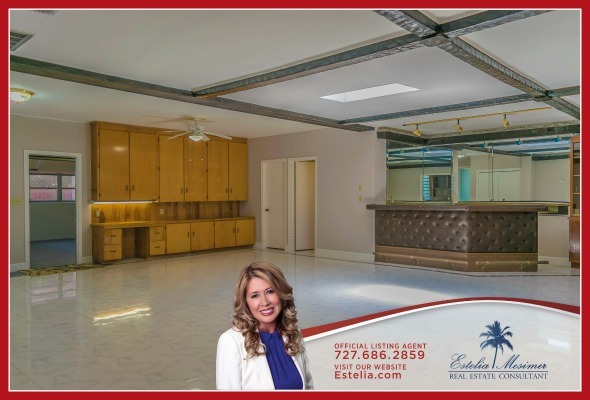 This spacious garage is also well-lit and has custom woodwork for storage, along with a two-sink counter. This large real estate property also has two large side yards. You can set it up with a side garden, and with St Petersburg’s warm weather, in no time can have a profusion of colors and plants by your home’s side. This home’s side yards are fenced to provide security and privacy. Clearly, this home has the amenities and space you want in a dream home, and it can be yours for $495,000. 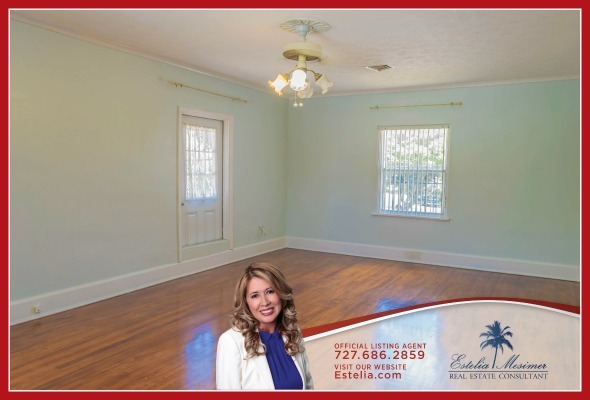 Are you looking for a home in the St Petersburg area? Visit my website to see similar homes like this one. 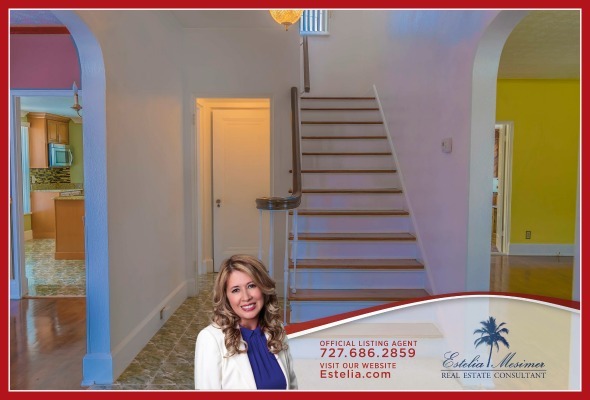 Call me, Estelia Mesimer, at 727-686-2859 today. I can help find your dream home.